John Walsh is back on the case. Recently, Investigation Discovery announced they’ve ordered a new TV show called In Pursuit with John Walsh. In Pursuit with John Walsh is slated to premiere on Investigation Discovery in 2019. (Silver Spring, Md.) – Today, Investigation Discovery (ID) announced its first television project with the most trusted name in delivering justice, John Walsh. IN PURSUIT WITH JOHN WALSH unites the power of Investigation Discovery’s dedicated fanbase as the #1 crime and investigation network in the US with Walsh’s lifelong mission of putting fugitives behind bars, finding missing children, and empowering the public to assist law enforcement. Showcasing time-sensitive, unsolved cases in desperate need of attention, this new real-time investigation series mobilizes ID’s audience to actively engage in the pursuit of justice. Backed by decades of victim advocacy with a mission stemming from his own personal tragedy, IN PURSUIT utilizes John’s unique and unrivaled experience in this field coupled with a call center able to help law enforcement find leads in real time. Produced by Zero Point Zero, IN PURSUIT WITH JOHN WALSH is set to premiere on Investigation Discovery in first quarter, 2019. What do you think? 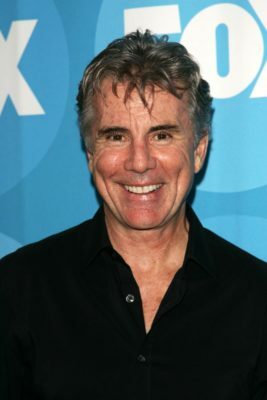 Are you a fan of John Walsh? Will you watch his new TV show? More about: In Pursuit with John Walsh, In Pursuit with John Walsh: canceled or renewed?, Investigation Discovery TV shows: canceled or renewed? PLease advise Me How to contact some-one about a fugitive, I know one’s mother! Love John Walsh! Can’t Wait to watch his new show!